It’s been over a year since Facebook introduced cover photos for profile and business pages, and I’ve only changed mine 9 times. Why? That is a big space – 851 by 315 pixels. Whatever you put up there is huge, and you want it to be good, right? That’s where Instagram comes in. Their filters and tools let you look like a photography rock star. Why not use all those great images you’ve been creating, and make them into your cover photo? PicStitch (available for iPhone and Android) is a collage app with 70 different layouts. 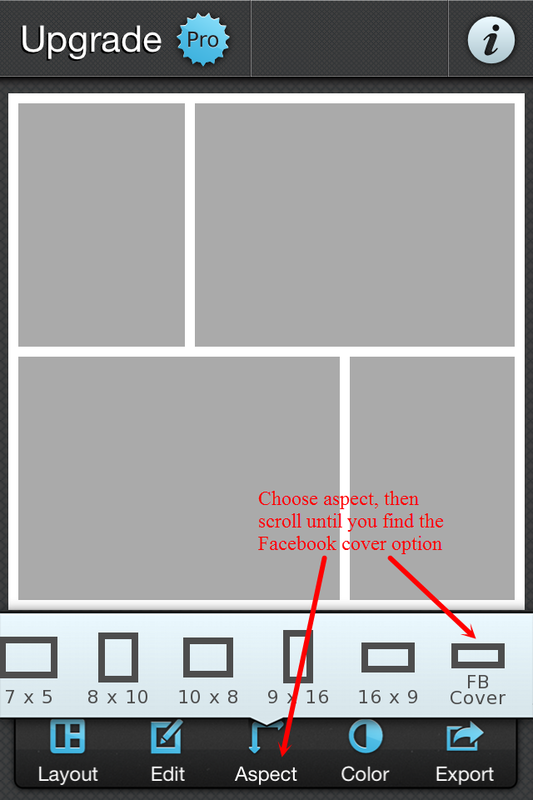 To create your cover photo, choose your layout, then click on Aspect in the tools on the bottom of the screen. After you choose Aspect, you have several sizing options; scroll until you see the one called FB Cover. 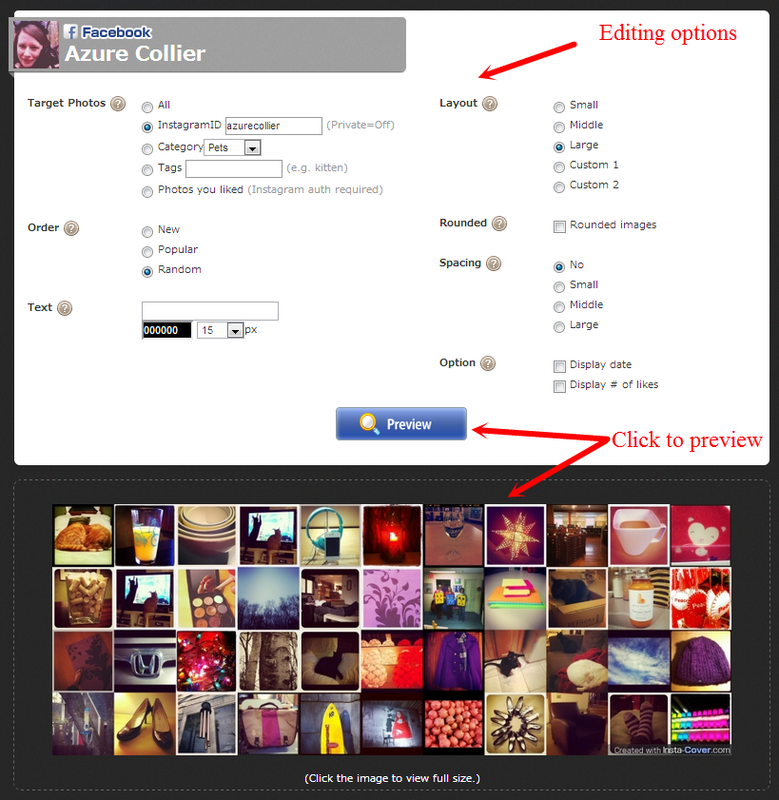 To add your photos, click on any of the boxes in your collage layout and click the Edit tool. 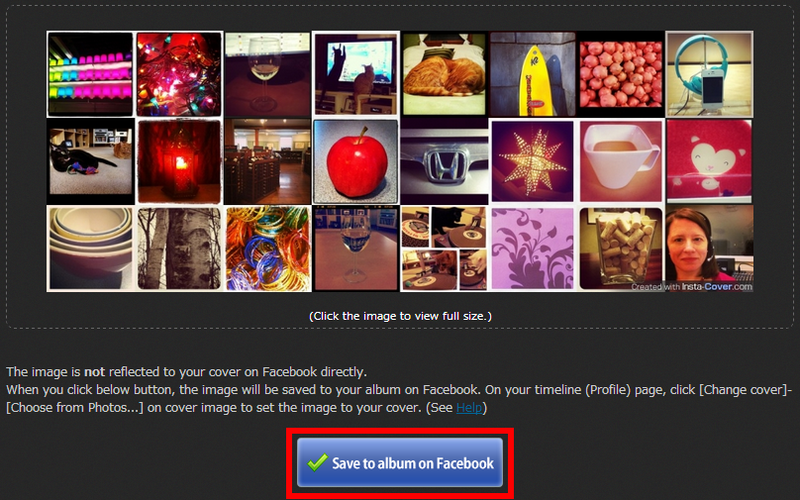 Then choose your Instagram images you’ve saved in your phone’s photo album or on Facebook. 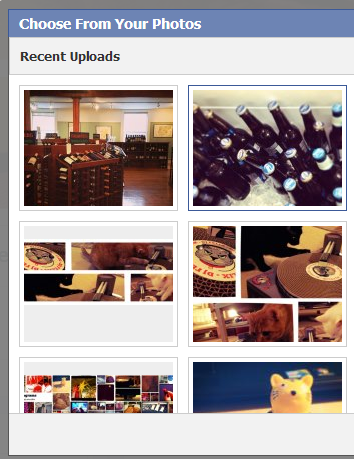 Once your photos are in place, click Export, and choose Facebook. Statigram is an Instagram management dashboard that tracks your Instagram stats, but did you know it’s another tool that you can use to make Facebook cover photo collage? To get started, click the Promote tab, and scroll down to Profile Cover. 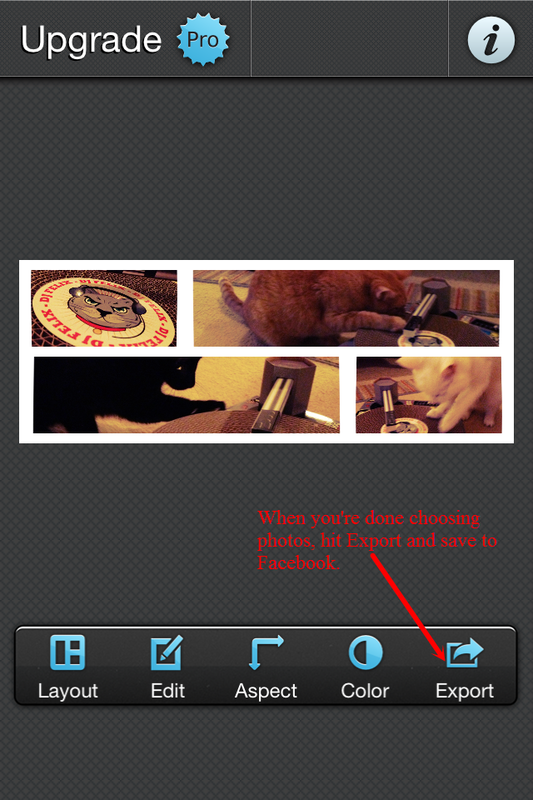 Click the Create your cover button, and Statigram will automatically pull and size your images. It takes a few minutes, but you get an easy-peasy way to create a cover photo. When your image is all set, right click it and choose Save image as to save to your computer. Then use Facebook to upload to your page. 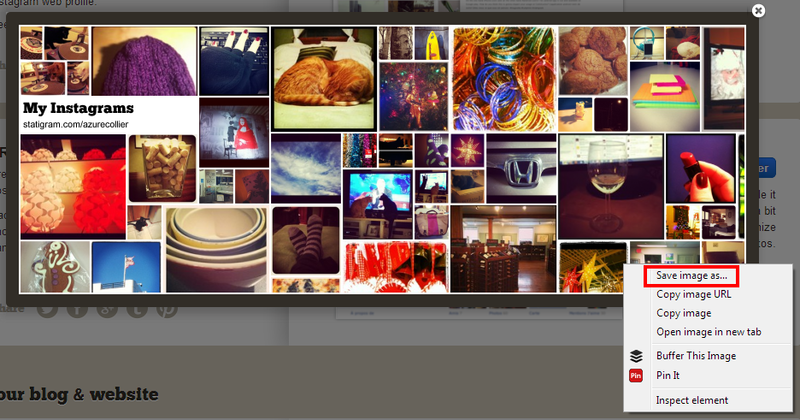 The InstaCover site makes a Facebook cover photo that’s a bit similar to Statigram, but you get editing options. 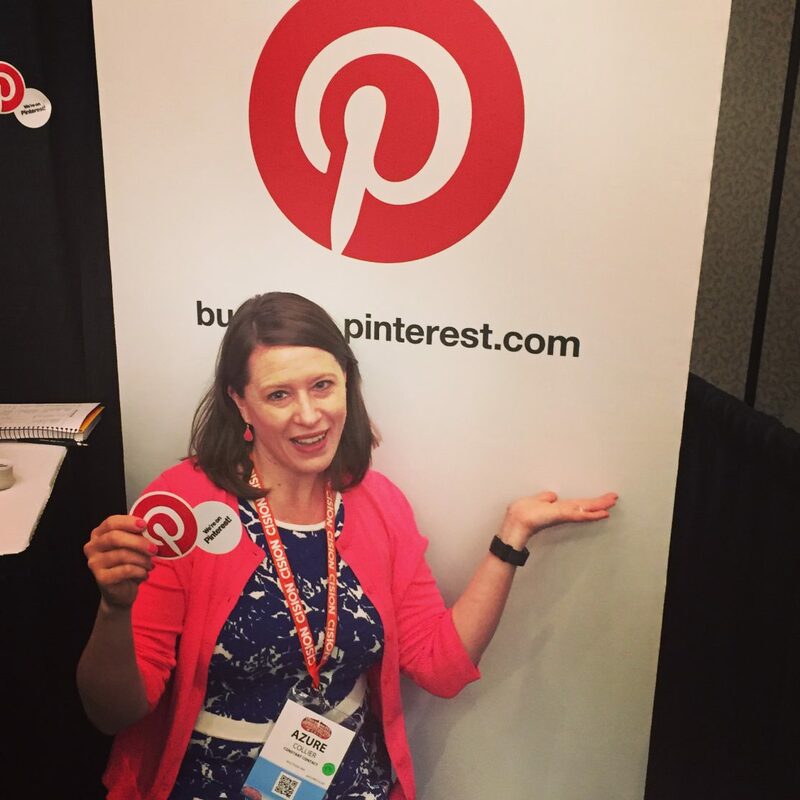 Start by choosing which Instagram account you want to pull from – it doesn’t have to be yours – by entering the Instagram ID. 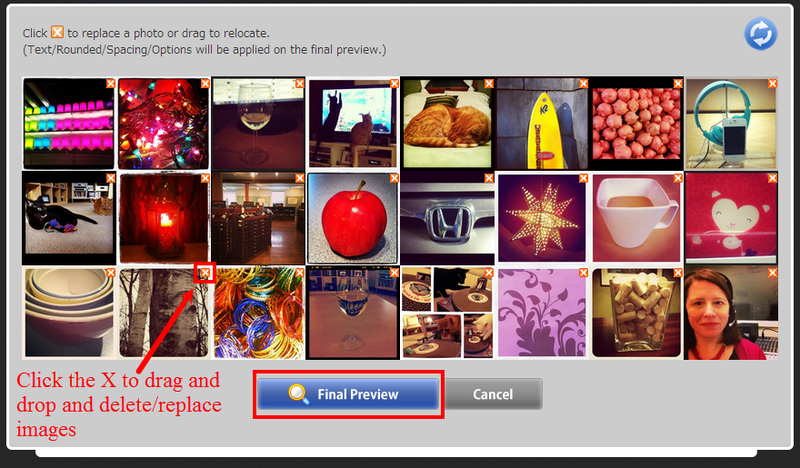 You could also make collages out of categories, tags, or photos you’ve liked. Choose your layout and spacing, and then click the Preview button. InstaCover pulls up a draft of your cover photo, which you can edit. Click the orange X in the top right of any photo to drag and drop to another spot, or delete it. When you delete it, InstaCover replaces it with another Instagram photo. Click the Final Preview button when you’re finished editing. You’ll see the finished cover photo, and you can save it to your Facebook profile by clicking the Save to album on Facebook button. None of these tools instantly changes your cover photo. You need to be on your page to do that. Go to your Facebook page, and hover over the bottom right corner of your current cover photo. A Change Cover option will appear. Click Choose from Photos. Select the new cover photo you just added to your Facebook page. Voila! You now have a collage cover photo made from beautiful images you created with Instagram.